Which Countries In Asia Have The Highest Number Of National Parks? China, Thailand, and India have the highest number of national parks among the Asian countries at 208, 138, and 102 respectively. 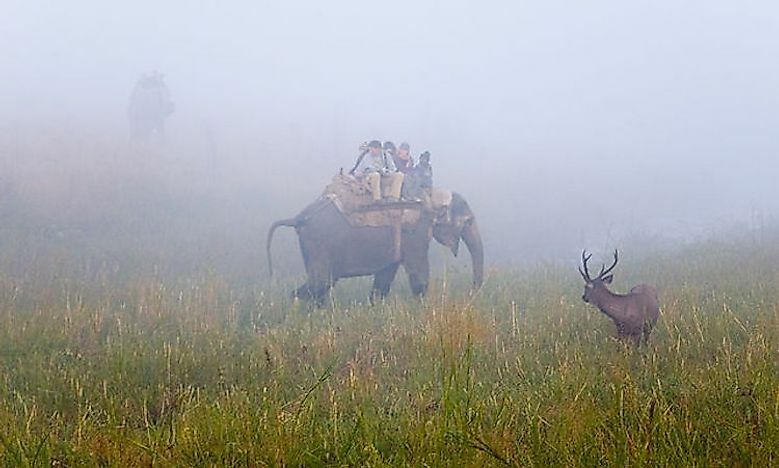 The Jim Corbett National Park is India's oldest national park and one of the most famous in the world. China, Thailand, and India have the highest number of national parks among the Asian countries at 208, 138, and 102 respectively. Asia parallels only South America on account of biodiversity. Seven biodiversity hotspots of the total 25 recognized in the world lie in the region and include the Himalayan, East Melanesian Islands, Mountains of Southwest China, Western Ghats, and Indo-Burma. The region boasts a rich plant and animal life owing to the diversity of its habitats, climate, topography, and altitude. Asia’s habitats range from forests, woodlands, sea basins, deserts, grasslands, mountains, and wetlands such as the Aral Sea, Lake Poyang, and Caspian Lake. The region’s biodiversity, however, is increasingly threatened by environmental concerns ranging from poaching, deforestation, infrastructure development, agricultural, human encroachment, and climate change. Protection of Asia's natural resources has become national, regional, and a global concern. The People’s Republic of China tops the list with an impressive 208 national parks. The oldest park, the Zhangjiajie National Forest Park, has been in operation since 1982. China’s national parks protect natural as well as historical areas and they are under the jurisdiction of the country’s Ministry of Housing and Urban-Rural Development. The parks support numerous tourist activities ranging from photography, hiking, sightseeing, mountain climbing, rafting, and bird watching. The most popular national parks in China include the Jiuzhaigou National Park, Wulingyuan National Park, and the Huangshan National Park. Thailand is ranked second with a total of 138 national parks, 22 of which are marine parks. These parks are home to endangered and significant flora and fauna species. The first national park in Thailand began operating in 1962 as the Khao Yai National Park near Pak Chong City. The Kaeng Krachan National Park, occupying an area of 2,914.70 km2 is Thailand’s largest national parks. The Doi Inthanon National Park encloses Thailand’s highest peak, and it is one of the most renowned protected areas in the country. India boasts 102 national parks, whose establishment is necessitated by legislation such as the Wildlife Protection Act. The Hailey National Park, later renamed the Jim Corbett National Park, was the first park to be established in India in 1936. For a country with one of the world's largest populations, Indian national parks have been invaluable in mitigating corresponding threats including human settlement, infrastructure development, deforestation, poaching, and agricultural expansion. Along with preserving Indian natural resources, the parks also support the large tourism sector in India. Some of the most popular national parks in India include the Bandipur National Park, Tadoba National Park, and the Panna National Park. The rest of Asian countries and their respective number of national parks are Israel (69); Philippines (54); Indonesia (50); Russia (47); Turkey (41); Vietnam (30); Japan (29); Iran (28); Pakistan (25); Mongolia (24); Sri Lanka (22); Laos (21); South Korea (21); Kazakhstan (10); Nepal (10); Azerbaijan (9); Burma (9); Republic of China (Taiwan) (9); Cambodia (7); Bhutan (4); Malaysia (4), and Afghanistan (1). Which African Nations Have The Highest Number Of National Parks? Which Countries In Central And North America Have The Highest Number Of National Parks?